Patrick Marber (Three Days in the Country, Hedda Gabler) directs his new version of Exit the King with a cast including Rhys Ifans (Notting Hill, A Christmas Carol) in the title role and Indira Varma (Game of Thrones, Man and Superman) as his first Queen. 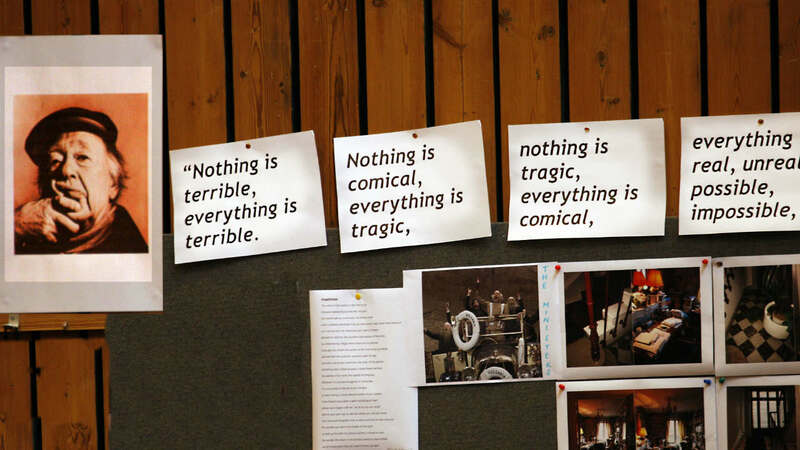 This great tragi-comedy is brought to life on the Olivier stage this summer, the first time Eugène Ionesco’s work has been performed at the National Theatre. Excellent performances. Rhys Ifans owns the stage. Patrick Marber has breathed new life into a work that feels like a neglected gem, a crown jewel. Long may it reign. A top-notch cast. Rhys Ifans is a marvel. Indira Varma is superb. Debra Gillett is a cartoonish delight. Bonkers. Patrick Marber's new version packs an unexpected topical punch. Vivaciously performed and full of regal ritual. A majestic and compelling performance from Rhys Ifans. Anthony Ward's design is beautiful. The way they transform the set by the end of the production is stunning, and an interesting use of the Olivier Theatre. Exit the King | Who was Ionesco? Photography (Rhys Ifans, Indira Varma, Amy Morgan, Debra Gillett, Derek Griffiths and Adrian Scarborough) by Jay Brooks.